"Over hill and under tree. Through lands where never light has shone...."
1. 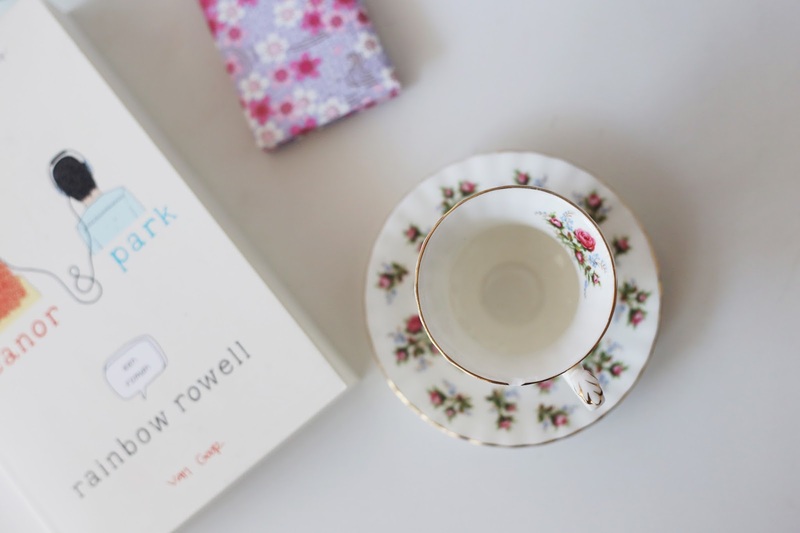 The teacup: as you perhaps know I adore tea. Therefore I'm always looking for beautiful teacups. I bought this one at the flee market. It is a Winsome, Royal Albert Bone China teacup. It was love at first sight. 2. Mirror: This mirror was given to me by Maiko. A penpall friend. It so fragile and I actually don't use it. It has a precious spot on one of my shelves and I hope I can keep it in a good state. Maiko, I'm so sad that I can't contact you through line, somehow it doesn't work on my phone. I hope we can get in contact soon again. 3. Bracelets: These are my favorite bracelets. They don't really have any special meaning, nor were they a gift. I think they just look so beautiful and somehow I'm starting to like gold more then silver. 4. Flower headband: this is the first headband I made. Every time I look at it I want to make so much more of them. 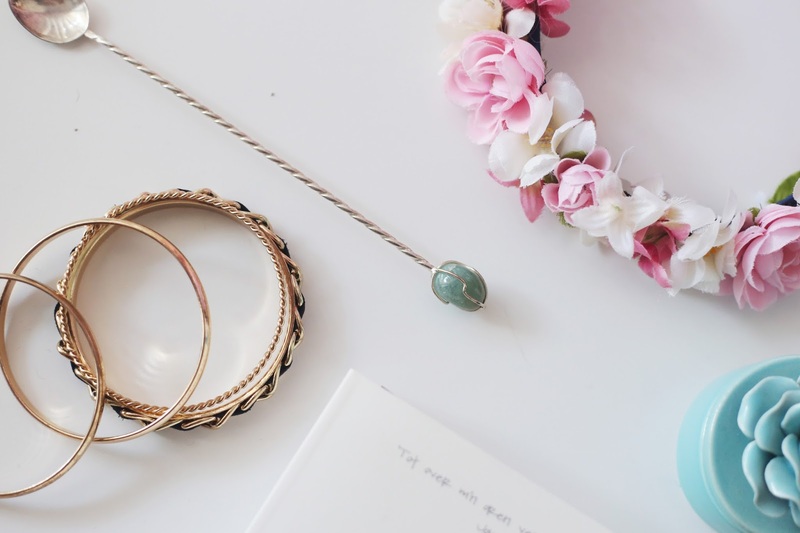 I think they are such a perfect accessory in spring and summer. Can't wait to wear them soon again. 5. Spoon: I got this spoon at Elf Fanasy Fair, it was kind of a souvenir. I hope this pretty little thing will remind me of the amazing time I had there with Cathy and Romy! 6. 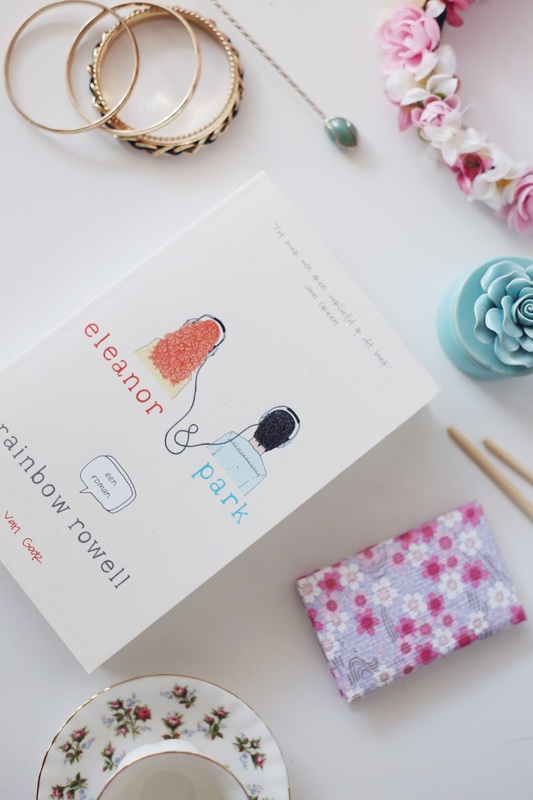 Eleanor & Park: a book I totally adore! The writing is amazing, the plot is great. I was just dazed by how wonderful it was.